The Panasonic ES8103S Arc3 is a great electric shaver for when you’re looking for value but still want a great brand name. Its foil head style, with a grey and black casing. 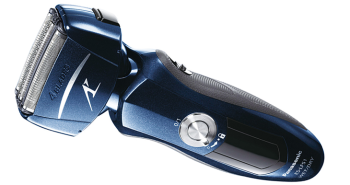 The pivoting head pivots back and forth at a twenty degree angle to provide a great shave. 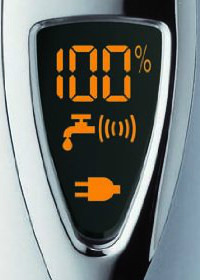 There’s a power button and an LED indicator near the bottom of the handle. 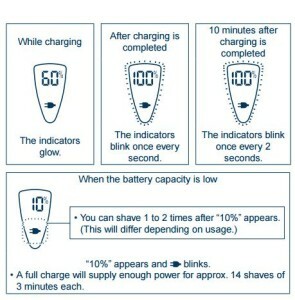 This electric shaver can be used wet or dry. There’s no additional cleaning or charging unit, so this manages to keep the costs down, but you’ll still have to remember to rinse it under the tap after each use. 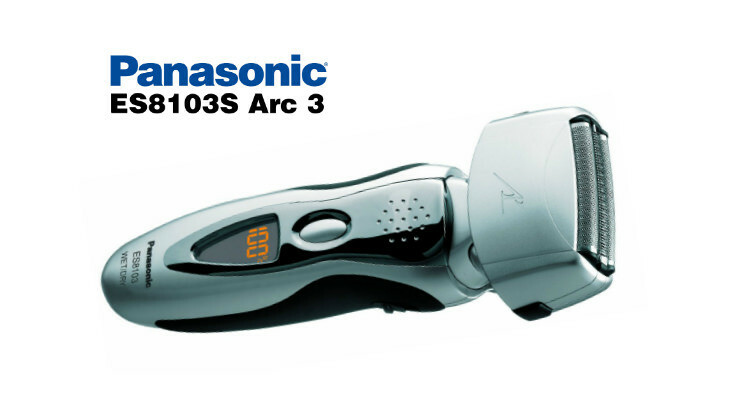 The Panasonic ES8103S Arc3 is built with nanotech blades, with an arced foil, so it can get close to the hairs on your face and neck, and remove them quickly, without discomfort. The nanotech blades are hypoallergenic, so any metal sensitivities will be avoided. 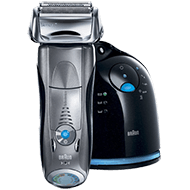 The pivoting head is adjustable, so that it can follow your facial contours for a great shave. 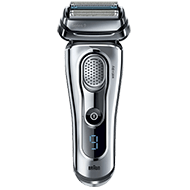 Sometimes it’s hard to reach the hairs just under the chin, or the the sideburns, but the ES8103S has a three blade shaving system to ensure all hairs on the face are reached. The blades are turned at a thirty degree angle to get close to the hairs. The slit foil will capture long beard hair as well, trimming it, and then shaving the rest of the hairs away. 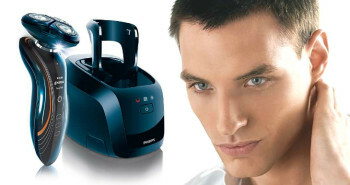 The Panasonic shaver has a fast 13,000 RP motor to deliver a consistent stream of power so your shave isn’t interrupted. There will be no tugging or pulling on your skin that can happen with much slower shavers. 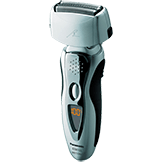 This eliminates the discomfort and redness that can happen with cheaper shavers. You may use this cordless electric shaver in or out of the shower. It’s impervious to water, so you can use it with water and soap, or shaving creams, foams, and gels. If you still wish to shave dry, then it still works quite well that way as well. A travel pouch is included, so you can take your shaver wherever you go for on-the-spot touchups, or when traveling. 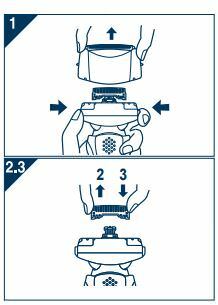 The Arc3 shaver has a turbo cleaning mode that you can turn on. This accelerates the motor to 17,000 RPM, which will shake off any residue or hairs that may be stuck to the foil or the blades. Remove the foil first, before washing under the tap. You can rinse your shaver under the tap in this mode, shake off the water, let the turbo mode run for a bit longer, while it spews out any remaining moisture. It actually doesn’t take that long to clean your cordless shaver, but should be done regularly so that your shaver doesn’t jam up, or slow down. 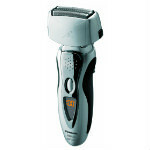 A handy pop-up trimmer can be used for individual grooming of beard, mustache, or sideburns. There’s no need to worry about finding where you put your trimmer tool, as it’s already contained within the electric shaver. The price on the Panasonic ES8103S Arc3 runs around $76, making it an affordable electric shaver. The packaging will contain: One Panasonic ES8103S Arc3 with pop-up trimmer, a charging/power cord, and a travel case. The Panasonic ES8103S Arc3 provides great value for the dollar. Since there’s no cleaning or charging unit, Panasonic was able to keep the price down on this shaver. If you don’t mind spending a bit of extra time cleaning your shaver after each use, you’ll be pleasantly surprised at how much of a clean smooth shave the Arc3 will provide your skin.